Palmer Luckey insists the Rift will be an open platform. 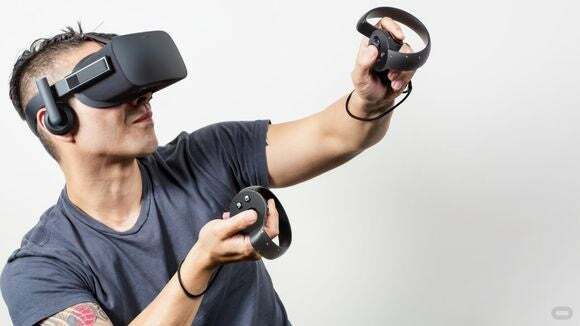 Oculus VR came under fire last week after its CEO said the company will fund development of about two dozen “Oculus-exclusive” games for its virtual reality headset. The company has now responded to the complaints, saying some of those games may eventually come to other VR platforms. “We are not trying to lock the Oculus ecosystem to our own hardware,” he wrote. The games being developed exclusively for the Rift were entirely funded by Oculus, Luckey said, and wouldn’t exist at all if Oculus hadn’t been funding them. Making quality VR games is hard, and supporting other headsets isn’t a priority for launch, he said. The Rift is scheduled for general availability next March. One Redditor asked if the developers of the exclusive games could implement OpenVR after they’re launched and make them available for other platforms. “Some of our titles might end up on other headsets at some point, but I am not going to make any promises when we are still rushing to launch our own product,” he wrote.